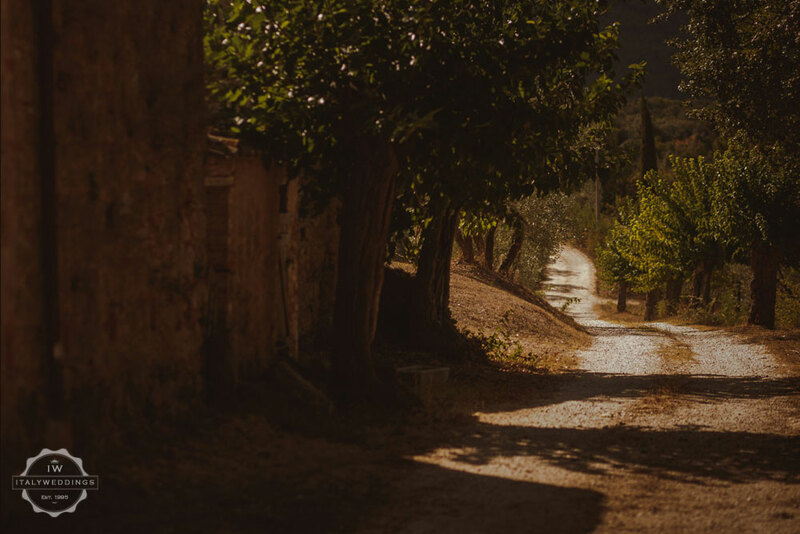 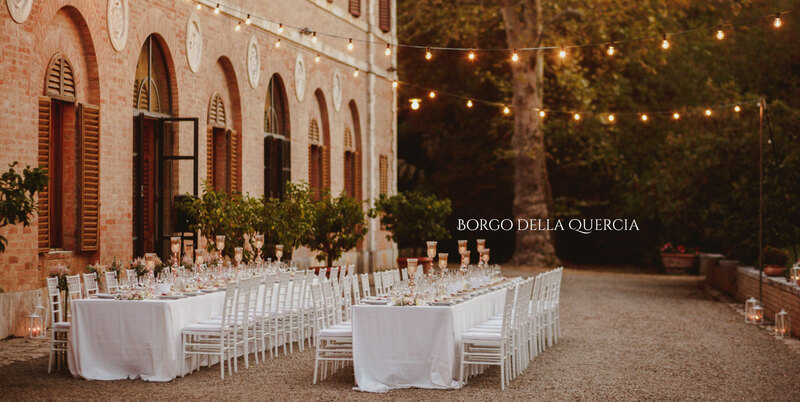 The heart of Borgo della Quercia is made up of a tiny old village, where time and history stand still. 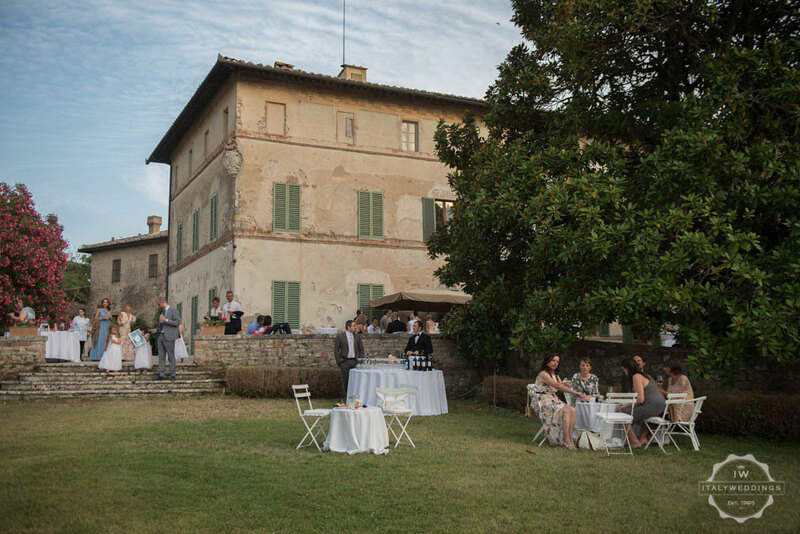 This is not the glossy, idealized Tuscany of magazines and film industry. 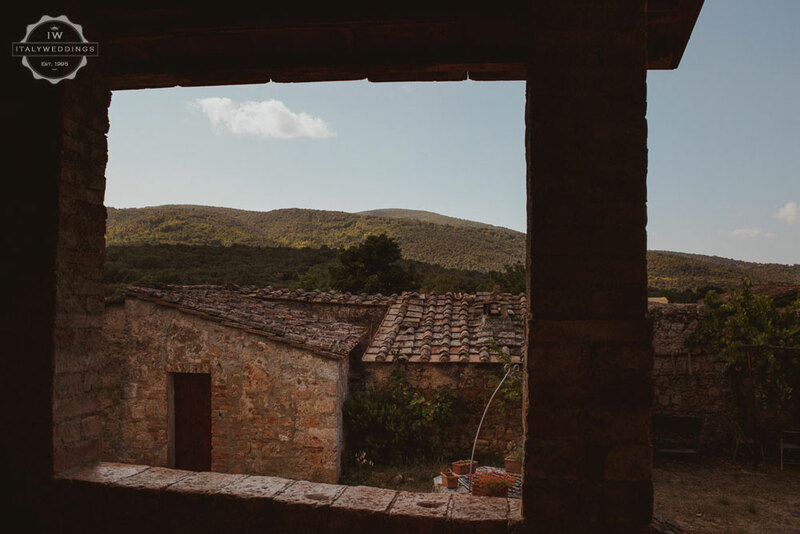 Here is the plain simplicity of one of the last places where the atmosphere of the past seems to seep out of the walls. 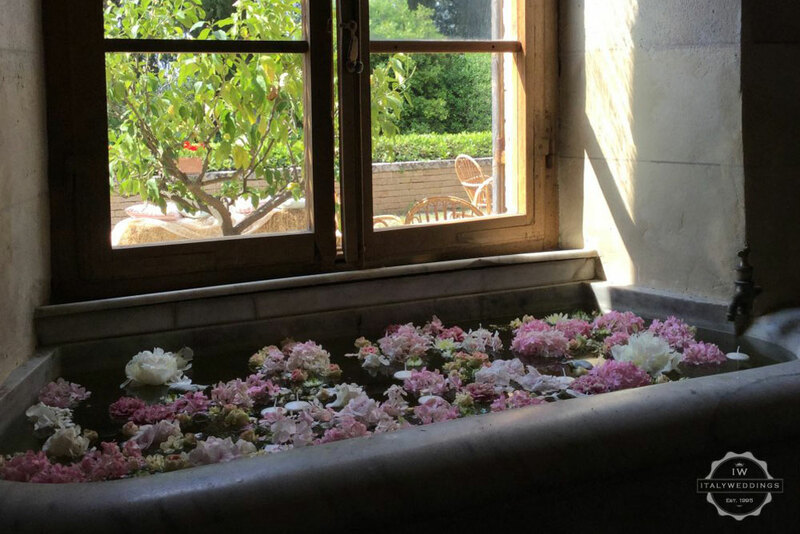 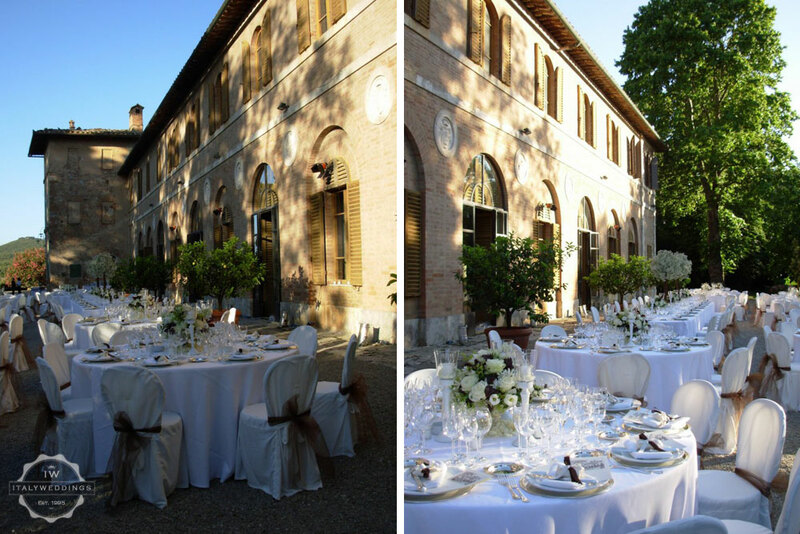 Delicate colours that still decorate the façade of the villa, old roses in the park, its hedges, broad pathways and the converted stables. 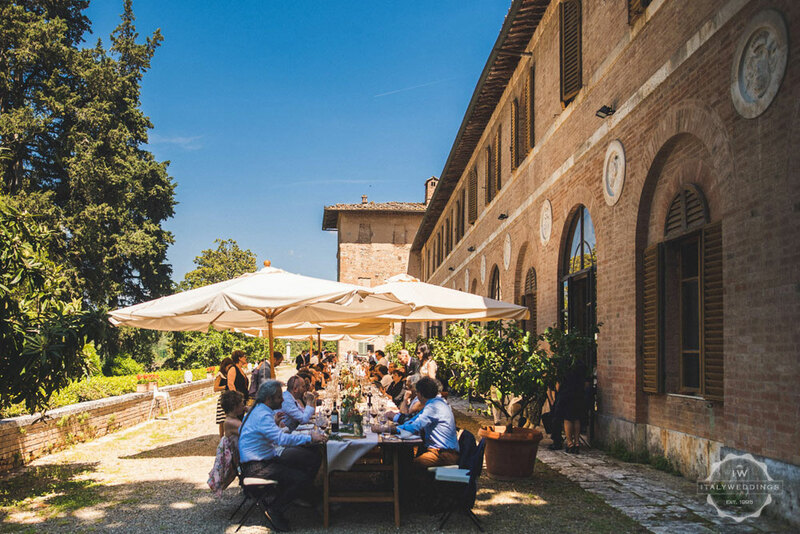 This is a place where the days are lived at the pace of work in the vineyards and fields, in the same way that happens on fully operational farms. 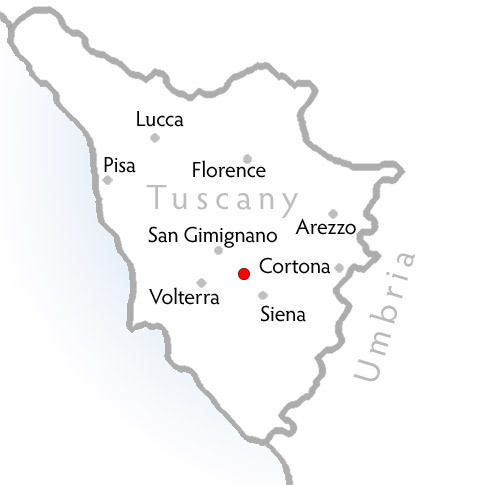 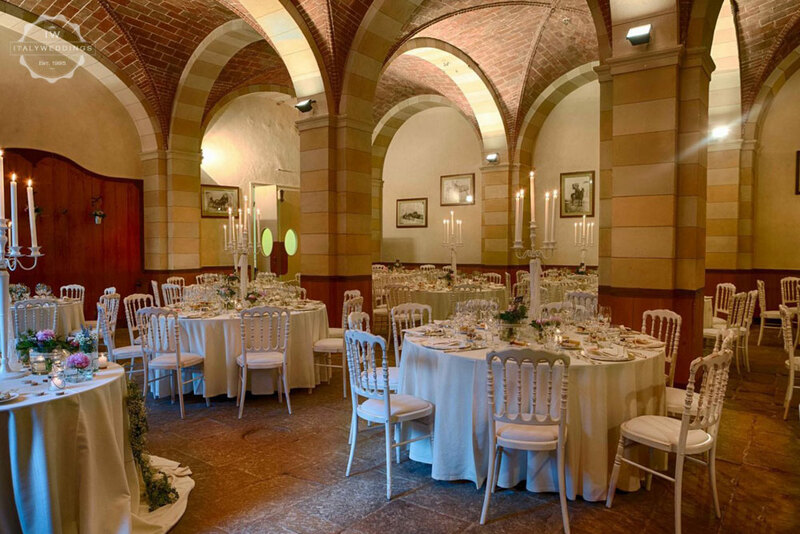 The estate dates back to 1667, and is made up of over 400 hectares in the Chianti Colli Senesi wine producing region. 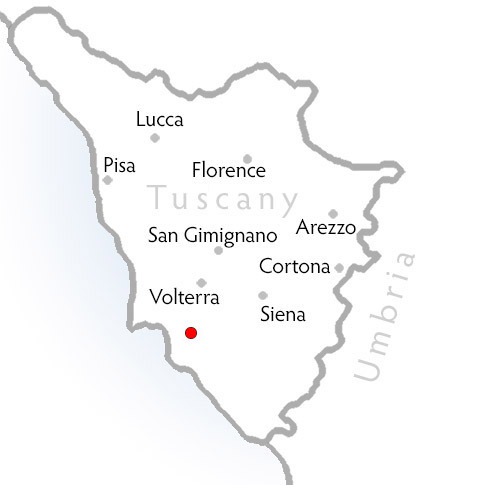 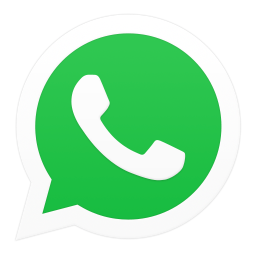 It is family run and devoted mainly to vineyards and wine production. 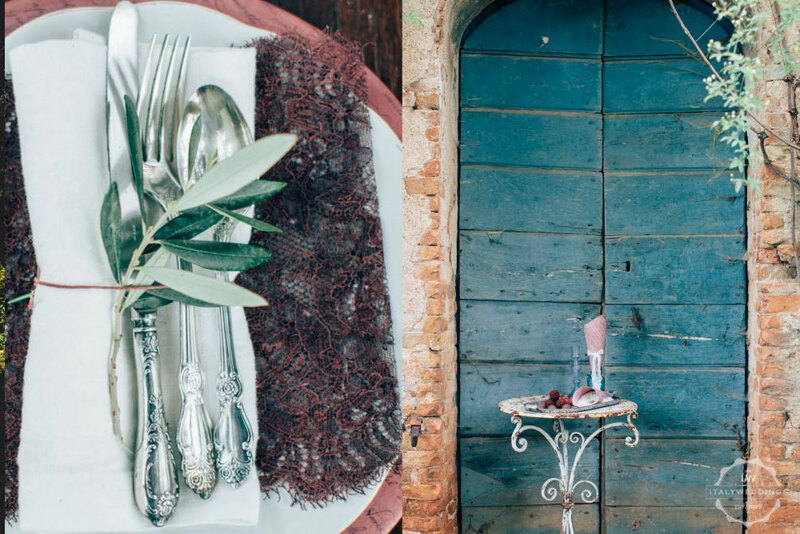 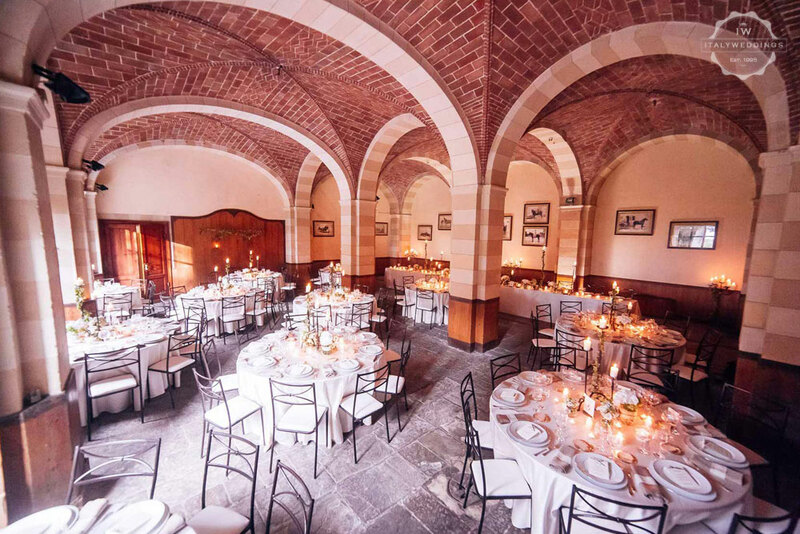 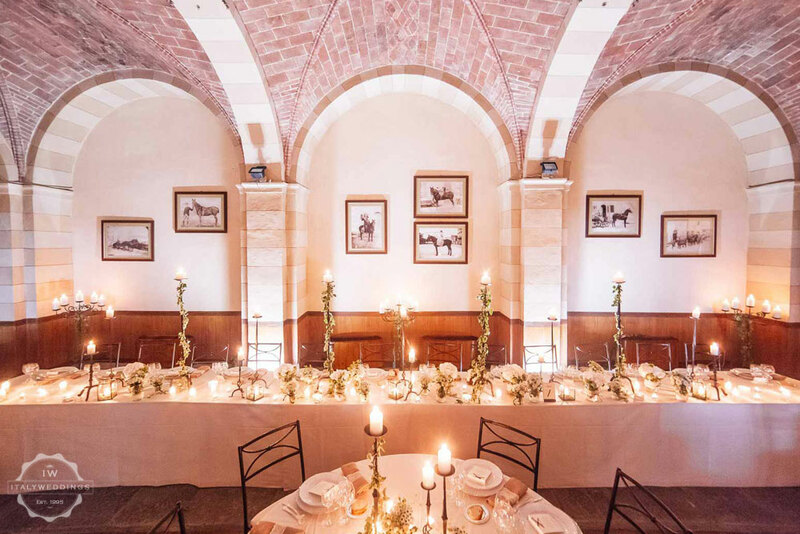 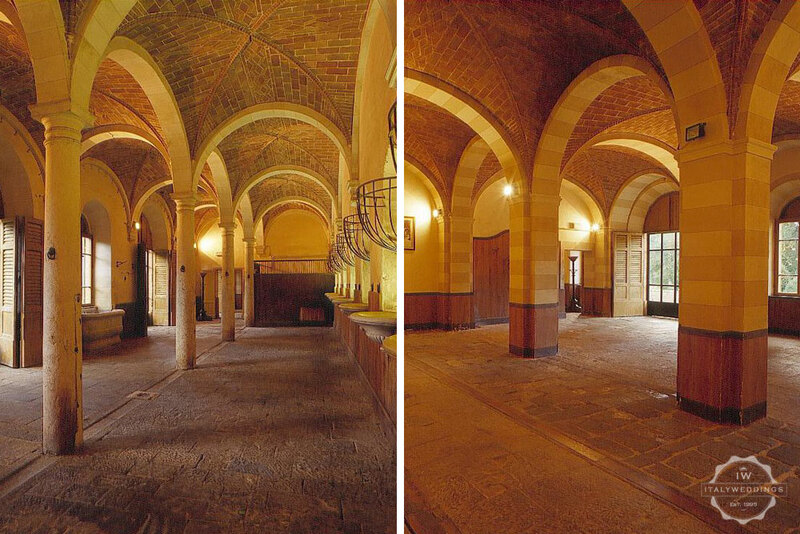 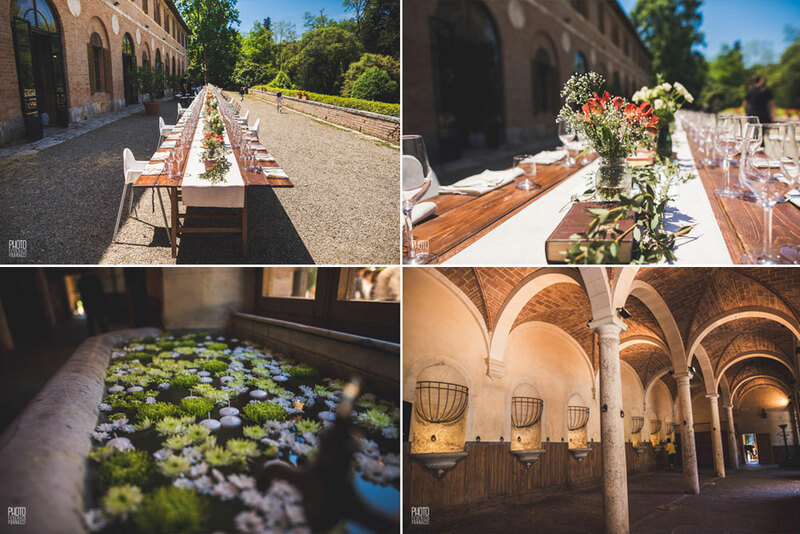 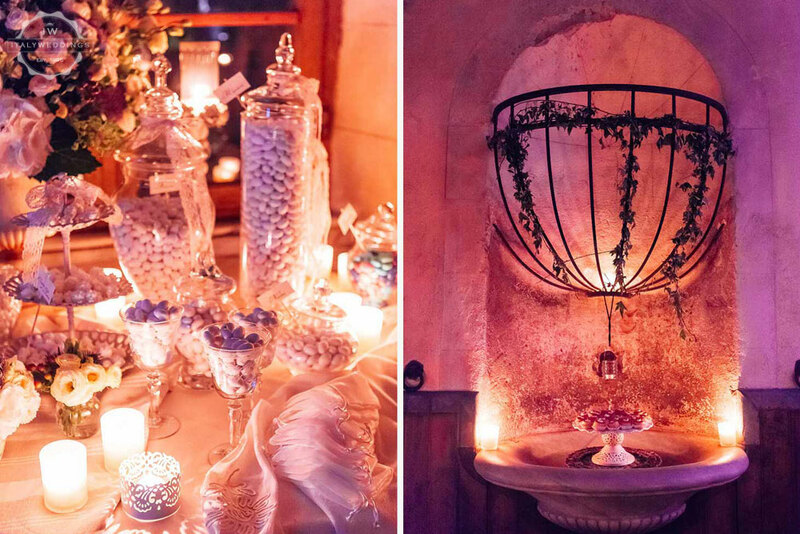 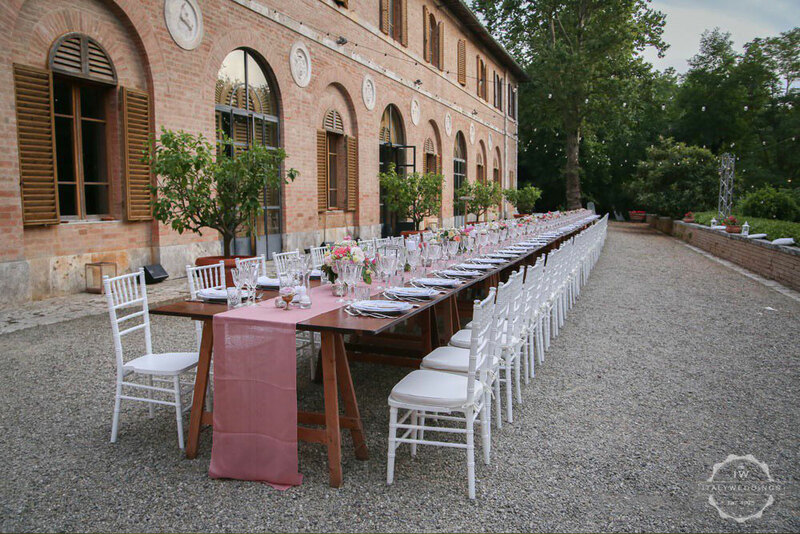 Your wedding reception may be held in extraordinary converted stables with vaulted terracotta ceilings – or more often, in the formal gravel terraced area in front of the more formal facade – unchanged over the centuries. 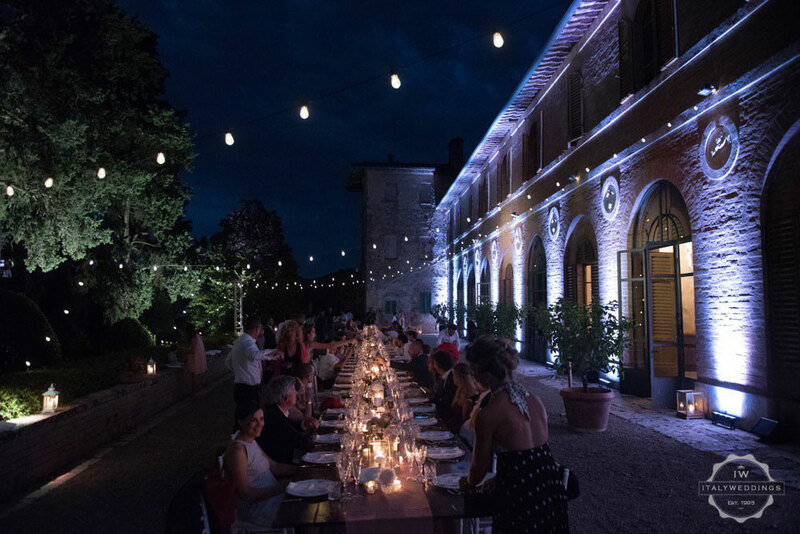 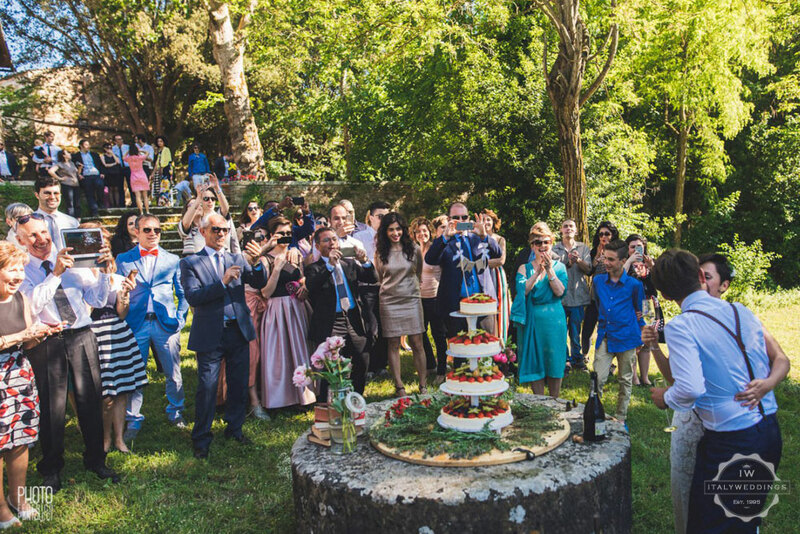 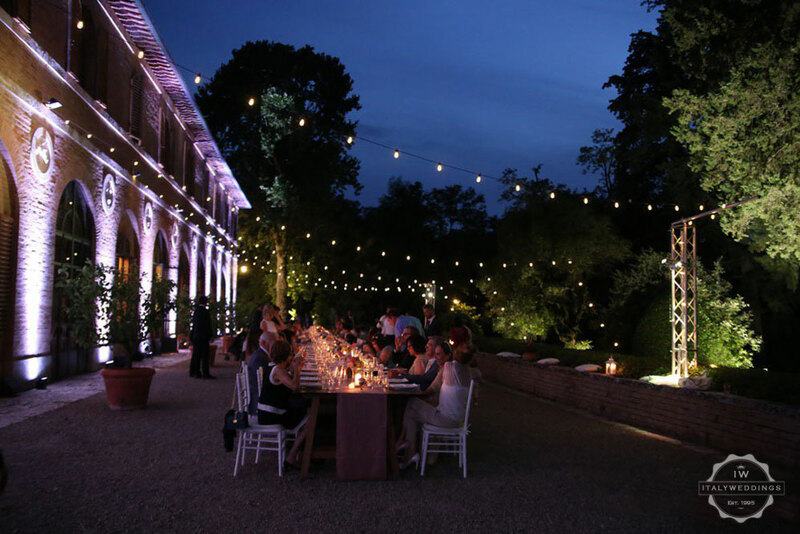 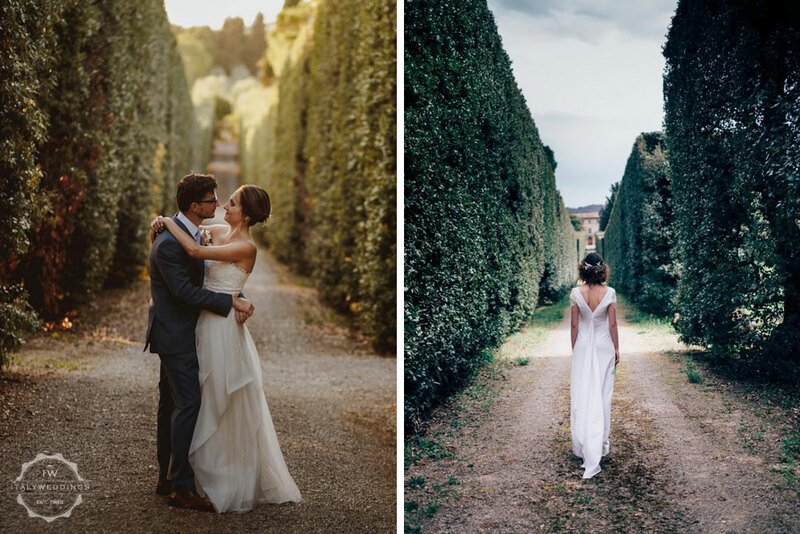 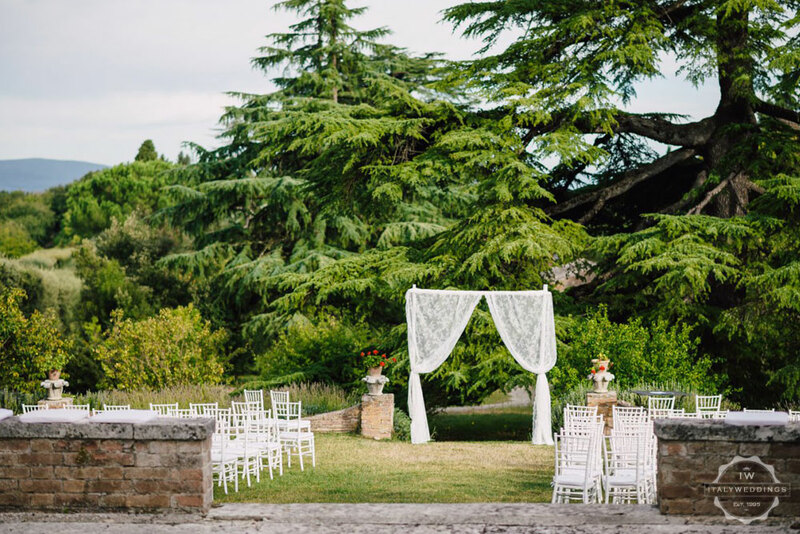 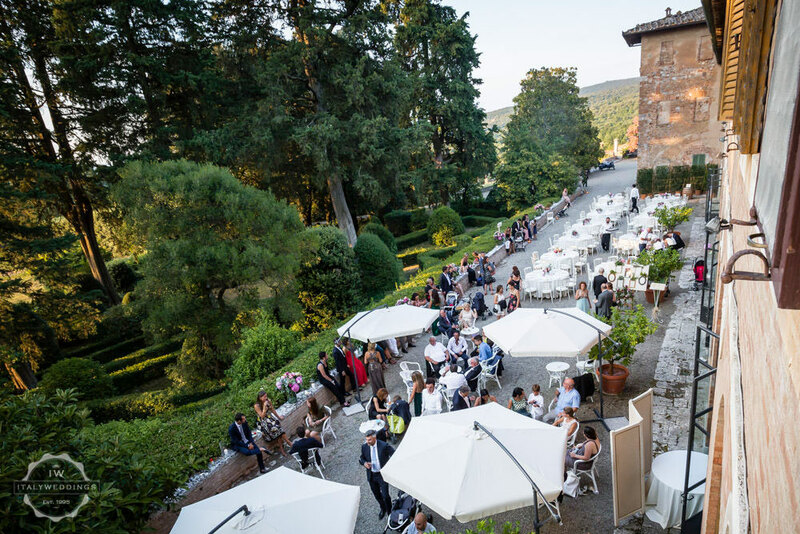 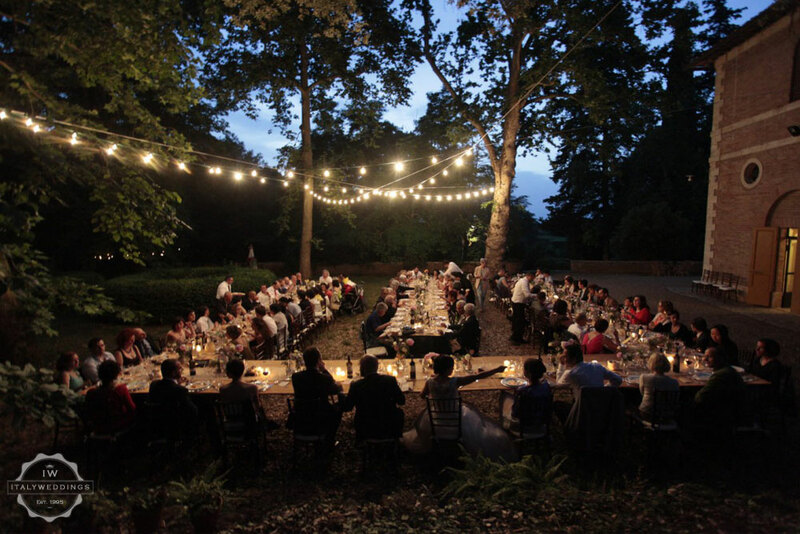 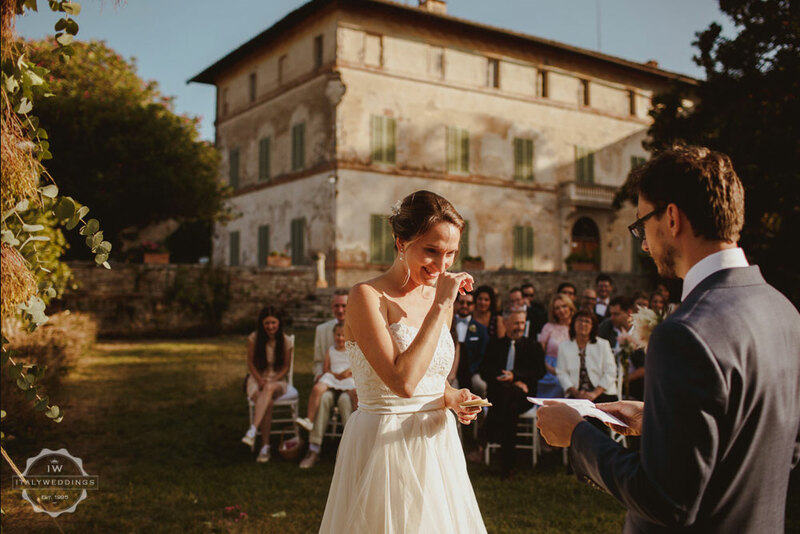 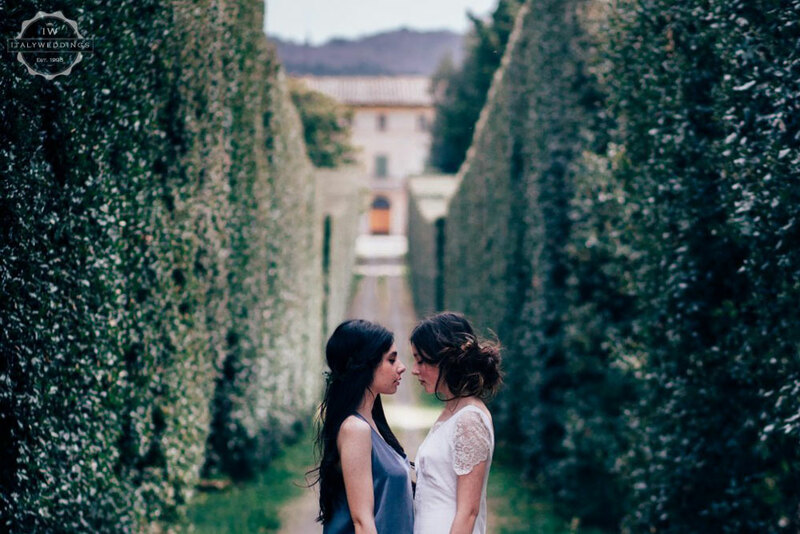 The ceremony and aperitifs could be arranged in the fields or gardens, with the background of Chianti vineyards.